Music ranging from formal overtures and marches to light classics and hits from the musicals, right through to popular numbers of today. Music is selected to cater for all players, so that no one section is out of the limelight for long! Rehearsals are disciplined, hard working , great fun and inspire members to take music home and work on those all important tricky bits! We are currently working on a selection of new pieces in order to build a programme for the forthcoming season of concerts. We have bookings in local parks as well as an annual concert, so the great variety of music that we are well known for, will be performed throughout the year. 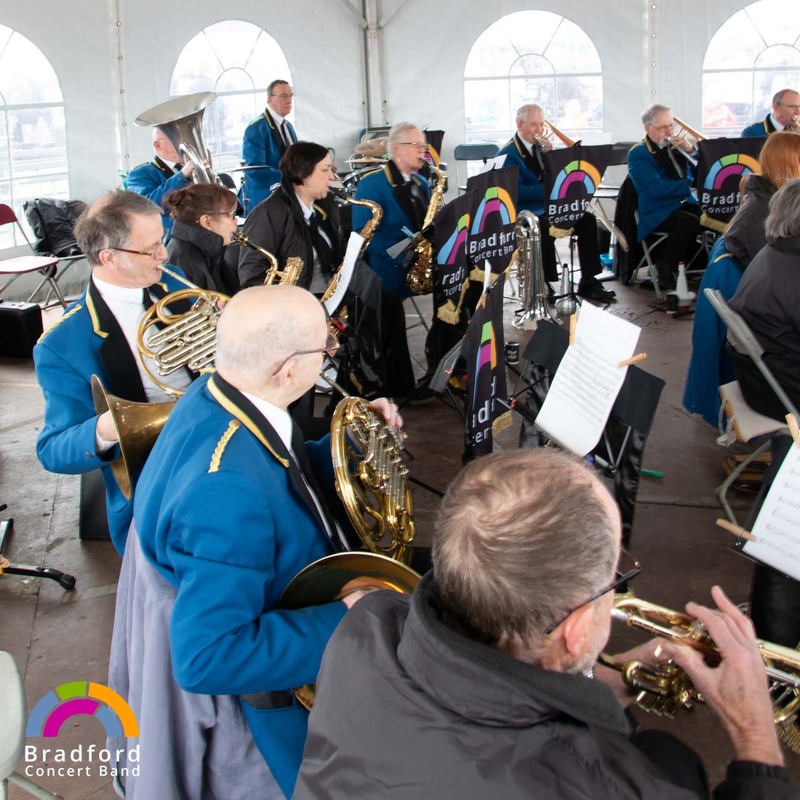 Our rehearsal home is the historic and beautiful Baildon Hall where we have a Band Room and are very much a part of the membership of this private club. A friendly , and occasionally sarcastic welcome awaits us from Steve the Steward, when we descend on him for a well earned drink after rehearsal, from the well stocked bar! We are a sociable and friendly band and have been ten pin bowling, theatre visits, eat out regularly and get together for the band dinners and socials. The trips to Keswick are the stuff of legends and involve the odd drink, often after playing an outdoor concert first (well, there has to be some sort of reason for going?!). The band is rebranding in 2017 and new members from any walks of life are welcome to join us. More social gatherings are planned, and we intend to do this in style.